Greenpeace lashed out at ecologist Patrick Moore after President Donald Trump echoed his criticism of the Green New Deal. Greenpeace also claimed that Moore was not a co-founder of the group as he claims. However, Greenpeace listed Moore as a co-founder on its website for years, until it quietly removed his name around 2007. Greenpeace is distancing itself from Green New Deal critic and ecologist Patrick Moore, dubiously claiming the former activist is not one of its co-founders. “Patrick Moore was not a co-founder of Greenpeace. He does not represent Greenpeace. He is a paid lobbyist, not an independent source,” Greenpeace USA tweeted Tuesday in response to President Donald Trump. “His statements about [New York Democratic Rep. Alexandria Ocasio-Cortez] & the [Green New Deal] have nothing to do with our positions,” Greenpeace USA tweeted. Patrick Moore was not a co-founder of Greenpeace. He does not represent Greenpeace. He is a paid lobbyist, not an independent source. His statements about @AOC & the #GreenNewDeal have nothing to do with our positions. Patrick Moore, co-founder of Greenpeace: “The whole climate crisis is not only Fake News, it’s Fake Science. There is no climate crisis, there’s weather and climate all around the world, and in fact carbon dioxide is the main building block of all life.” @foxandfriends Wow! Greenpeace, which supports the Green New Deal, lashed out after Moore’s comments as part of a years-long public relations war against its former co-founder, arguing that he’s a paid industry shill who did not co-found the group. However, Greenpeace’s website listed Moore as one of its “founders and first members” for years before his name was quietly removed around 2007. Moore is now listed among those on board the fateful 1971 voyage to protest U.S. nuclear testing in the Aleutian Islands. 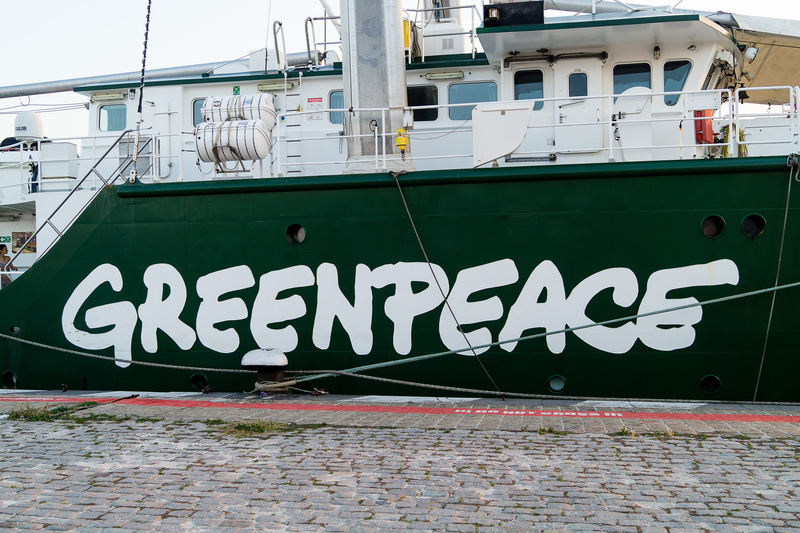 “Phil Cotes, Irving Stowe, and Jim Bohlen founded Greenpeace in 1970. Patrick Moore applied for a berth on the Phyllis Cormack in March, 1971 after the organization had already been in existence for a year,” Greenpeace International says on its website. In a 2012 essay, Moore speculated Greenpeace blacklisting him is “[p]ossibly coincidental with my decision to come out publicly in favor of nuclear energy.” Moore also came out as a skeptic of catastrophic global warming and a proponent of genetically modified crops. Though, Moore did admit that the whole debate over who is, and isn’t, a Greenpeace founder is somewhat of a gray area. “The truth is that Greenpeace was always a work in progress, not something definitively founded like a country or a company,” Moore wrote, though he clearly lays out his role in Greenpeace’s founding. Moore did not respond to The Daily Caller News Foundation’s request for comment.